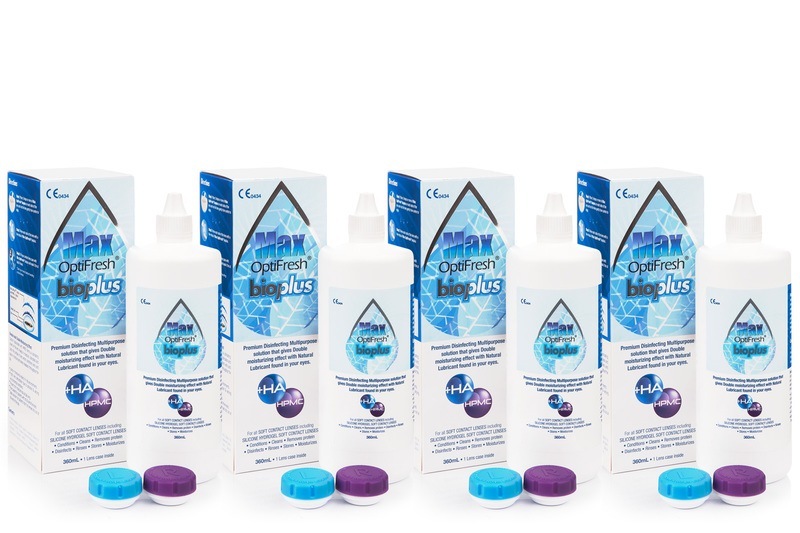 Max OptiFresh bioplus is a multipurpose solution containing hyaluronic acid also known as hyaluronan – a naturally-occurring lubricant in the body – which forms a protective shield around the eye. Bioplus also safeguards lenses and eyes by disinfecting, removing proteins and lipids, and balancing pH to match healthy tears. The solution contains hyaluronic acid which provides the much needed moisture for your eyes and thus eliminates the unpleasant feelings of dryness and burning. It also maintains the necessary conditions for eye-cell regeneration. When will enter the new goods?